From legality to availability, recreational use and potential use as treatment, marijuana is a hot topic. In the MS forum, members are talking about marijuana and its potential to relieve symptoms of MS like pain, tremor and spasticity. We wanted to know more, so we asked our Health Data Integrity team to take a look at this topic. So, what is marijuana and how can it impact health and MS? Take a look. First, a quick refresher: What is Marijuana? Phytocannabinoids: found in leaves, flowers, stems, and seeds of the plant. Endogenous: made by the human body. Purified: naturally occurring and purified from plant sources. Synthetic: synthesized in a lab. Cannabinoids create different effects depending on which receptors they bind to. These chemical compounds are responsible for marijuana’s effects on the body with the most common being delta-9-tetrahydrocannabinol (THC) and cannabidiol (CBD). Different strains with different combinations and levels of the various cannabinoids along with different methods of consumption give users varied effects. How does marijuana impact MS? Despite currently available FDA-approved treatments, many patients with MS still have symptoms. Recent studies suggest treatment with smoked cannabis and oral cannabis extract may improve patient perception of pain and spasticity. Oral cannabis extract and synthetic THC may be effective for reducing patient-reported symptoms of spasticity and pain, but not bladder symptoms and neuropathic pain. Nabiximols (Sativex®), an oromucosal spray, may be effective in reducing patient-reported spasticity, pain, and urinary frequency, but not urinary incontinence, anxiety symptoms, sleep problems, cognitive symptoms, or fatigue. However, it is important to note that this agent is not currently approved for use in the US. There isn’t enough evidence to fully determine the safety or effectiveness of smoked marijuana in treating any MS symptoms. 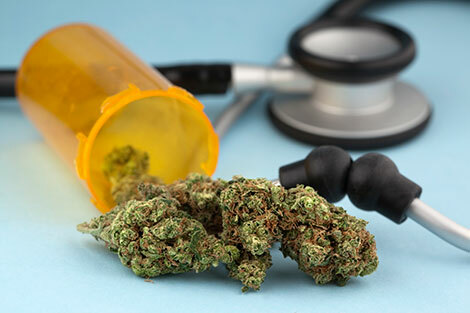 While preliminary research shows that marijuana may improve symptoms in patients with MS, more extensive clinical trials are in progress to evaluate the safety, efficacy, and dose of cannabis for patients with MS.
One of these studies is currently recruiting participants to investigate the effects of medical marijuana usage on physical functions on MS patients. To find out if you qualify and the location of the study, click here for more information. Long-term safety of marijuana use for symptom management for patients with MS is not fully known. So, patients should be aware of the pros and cons of this treatment option and discuss the use of medical marijuana with their healthcare provider. While there are benefits that marijuana may provide for patients, there are many side effects that may limit the use of this therapy. Has any testing been done for those suffering from Huntington’s Disease. My husband has that and is in later stage and suffers from COPD as well. He has very little appetite and really needs to consume many more calories with both of these cobditions. Come in , the information is week and one sided. There is valuable research around the world and the data looks at the United States. That’s now like a Trump tweet! I was diagnosed with multiple sclerosis 1 month after I turned 50. My was is 96 and had it since she was in her 20s. I was on Copaxone, the first year was daily and later I was on 40 mg, 3 times a week. It made a tremendous difference for me. Although the fatigue was what really gets to me. When I do too much, I do start to feel weak.There has been little if any progress in finding a cure or reliable treatment. My multiple sclerosis got significantly worse and unbearable because of my cognitive thinking.. Last year, i started on a natural multiple sclerosis Herbal therapy from Green House Herbal Clinic, i read a lot of positive reviews from patients who used the treatment and i immediately started on it. I had great relief with this herbal treatment. I am doing very much better now, no case of Cognitive thinking or memory Loss,, my multiple sclerosis condition is totally reversed. You know marijuana can cure some of the illness including my depressive disorder, im suffering it for almost 2 yrs now since my 1st born child past away. I can’t really imagine why she left me that fast. I know its kinda weird but i try to use mj as my relief for what happens to me and i think it helps me a lot just what i read on this article https://www.worldwide-marijuana-seeds.com/blogs/marijuana-news/cannabis-as-medicine.